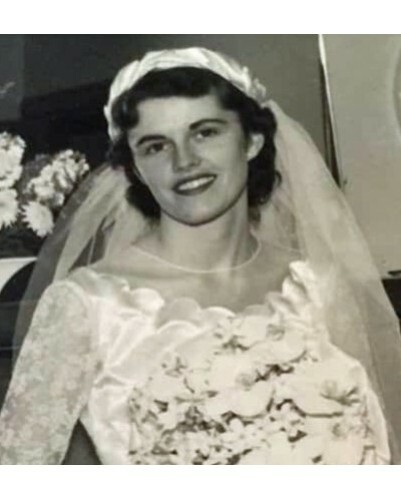 Patricia Ann Pulskamp, passed from this life on Sunday, January 20, 2019 at the Nazareth House of Fresno where she has made her home for over a decade. Her final day was spent with her son and his wife Debbie at her bedside. She was born in San Francisco, California to James and Helen McGuire 88 years ago. Patricia grew up during the hard depression years, however she had an idyllic childhood with fond memories she loved to share. She met her husband William “Bill” Pulskamp, and they were married on June 16, 1951 and shared 62 years of marriage and then missed him desperately during the nearly four years since his passing. In the early days of their marriage she was a military wife following Bill during his time in the U.S. Army during the Korean War. They settled in San Franciso, California where Bill attended The University of San Francisco and to raise a family. For a time Patricia was employed as a Dental Assistant. She was a phenomenal mom and a loving wife. Patricia cherished her date nights with Bill, their travels and her time with her sons Bob and Ken She was steadfast in her Catholic faith and was consistently true to her strong values. She lived a simple but a joyous life for 88 years. 46 of those years she has resided in Fresno where Patricia and Bill were active members of St. Anthony of Padua Parish. Patricia is survived by her 2 two sons Bob and Ken and his wife Debbie, by a brother Jerry and by her grandchildren, Karina and Bridgett and by her great grandson Nolan. Also surviving are Bill’s sister Barbara and his brother Monsignor Jim Pulskamp. A Funeral Mass will be celebrated on Saturday, January 26, 2019 at 2:00 PM in the Chapel of the Nazareth House, Fresno. A Committal Service will be held on Wednesday, January 30, 2019 at 2:00 PM at the San Joaquin Valley National Cemetery, Santa Nella, (Gustine) CA. where she will be laid to rest with her beloved husband Bill. The family is grateful to the Nazareth House & and its nuns and employees who cared so well for Patricia and to Bill while they were residents. Remembrances or donations can be sent to the Nazareth House located at 2121 N. 1st Street, Fresno, California 93703.